According to the latest Google data, as webpage load time goes from one to ten seconds, the probability of a mobile site visitor bouncing increases 123%. Sounds challenging, doesn’t it? The good news is there is still plenty of time to get ready for the upcoming Google Speed Update, which officially makes page speed a ranking factor for mobile searches. 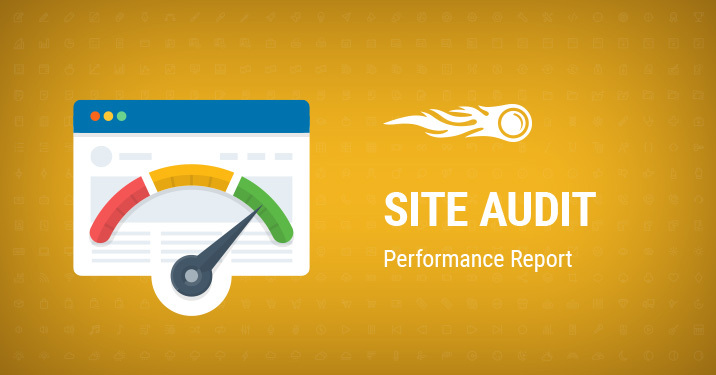 To help you ensure your website delivers the fastest experience, we’ve developed the Performance Report within the Site Audit tool. A few weeks ago we presented the webpage resources checks that help you identify issues causing low page speed. Let’s see now what the complete Performance Report gives you in detail! To access the report, all you have to do is to head to your project for which you’ve set up Site Audit and click the ‘View Details’ button under the report’s name. Now you have all the information you need in one page! We recommend that you re-run Site Audit to get the freshest data. 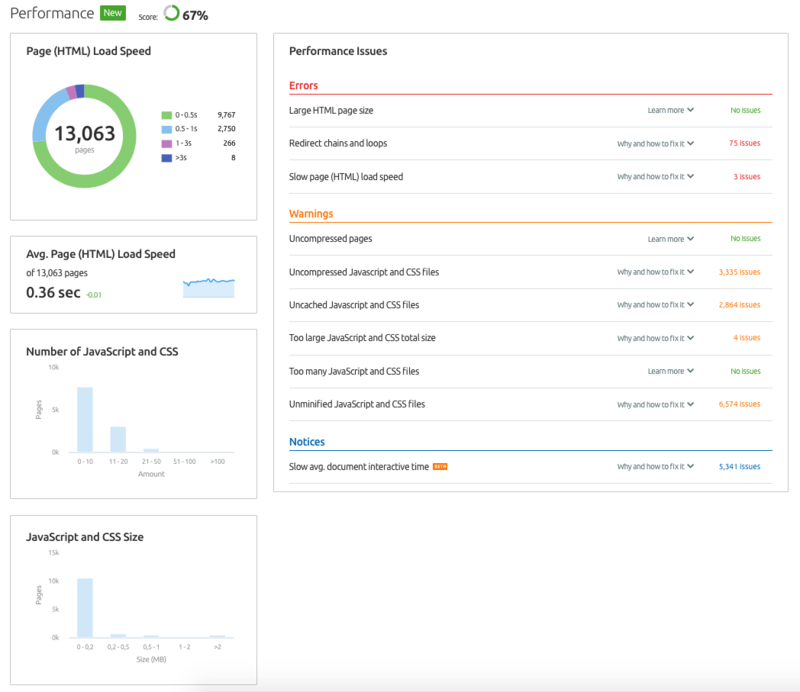 To allow you to see a broader picture and visualize the data on your website performance, we’ve implemented the following graphs into the report. Avg. Page (HTML) Load Speed shows the trend of an average page load speed during different recrawls and allows you to see your optimization results in progress. The essential part of this report is the following list of issues that may slow down your website and thus lead to a drop in rankings. Click on the ‘Why and how to fix it’ section next to each check to find more information on the issue and get actionable recommendations on how to solve it. The Large HTML page size issue is triggered if the size of the HTML code contained on a page exceeds 2 MB. The Redirect chains and loops issue is triggered if the redirects on your website are done incorrectly and lead both crawler and user to nowhere. The Slow page load speed issue is triggered if the loading of a webpage’s HTML code is too slow, where load times for images, JS & CSS are not factored in. The Uncompressed pages issue is triggered if you don’t enable compression on your webpages, and, more precisely, the Content-Encoding entity is not present in the response header. The Slow avg. document interactive time issue is triggered if your page takes more than 1 second to become interactive. What do you think about these major enhancements? Please share your feedback and thoughts with us at [email protected], and stay tuned, as more updates are on the way!